Editors Prof.Minhua Ma, Art, Design and Architecture, University of Huddersfield, UK; Dr. Andreas Oikonomou, School of Science and Technology, Nottingham Trent University, UK and Prof. Lakhmi Jain, University of South Australia, School of Engineering, Australia, have issued this week a “Call for Chapters” for the second volume of Serious Games and Edutainment Applications published in 2011. 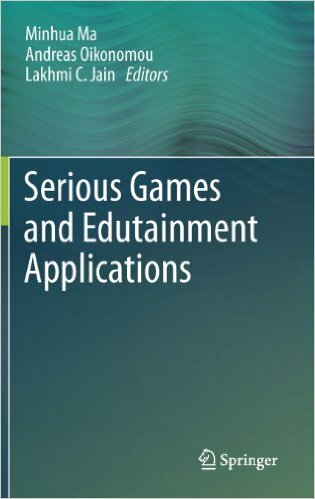 Following the success of the first volume, which has been heavily downloaded (over 28k downloads), the second volume offers an insightful introduction to the recent development and applications of video games technologies including virtual and augmented reality in educational settings, with cutting edge academic research and industry updates which will inform readers current and future advances in the area. 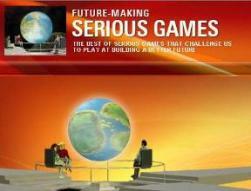 This book is suitable for researchers, postgraduate students, educators who are interested in using "Serious Games" for training and educational purposes, and software developers who are trying to gain a thorough understanding of issues of applying gaming technology into training and educational settings and share their experience in design, development, and adapting games for education and training purposes. 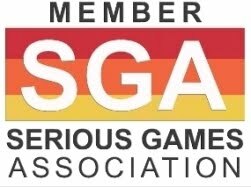 All chapters must be original, of high quality and of approximately 15-25 pages in length at the publication stage. All submissions will be refereed through a double-blind peer review process. Submitted chapters should not have been previously published nor be currently under consideration for publication elsewhere. Papers which have appeared previously in conference proceedings or journals may be submitted to this book, only if they are substantially revised with at least 40% new material. Chapter proposals are due by 18 Nov 2015. Authors are invited to submit a one page summary of their proposed chapters as well as 5 lines short bio of each author for the possible inclusion in the book. Submission and peer review will be managed through EasyChair. Please submit your chapter proposal online at https://easychair.org/conferences/?conf=sgedu2016.